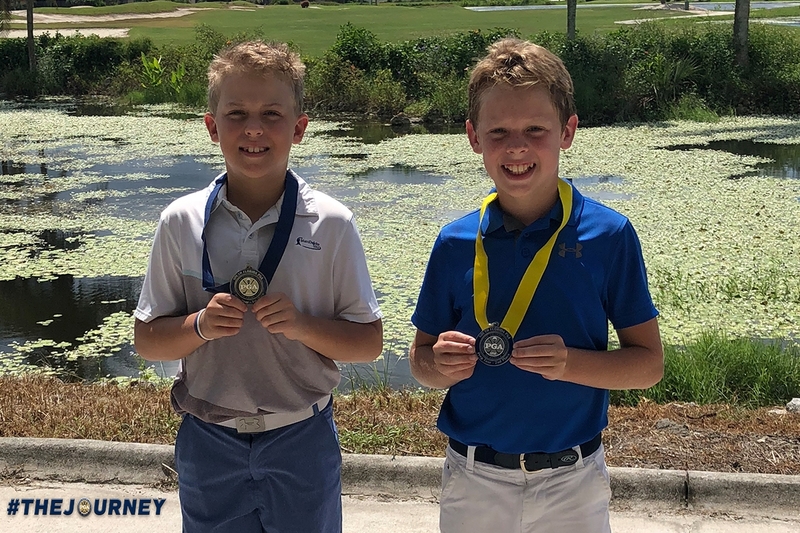 September 15th 2018 - Naples, Fla. – Today, the South Florida PGA Junior Prep Tour presented by The Honda Classic held the tenth Prep Tour Event of the 2018 season at Eagle Lakes Golf Club. This event featured a field of 37 players aging from 9-18 years old. The juniors competed in intense heat on this sunny September day. Jessy Huebner of Port St. Lucie captured the boy’s 9-10 age division shooting a round of 1-over par, 72. North Palm Beach native, Wylie Inman, was runner-up in the boy’s 9-10 age division with a round of 82. Matthew Golovanov of Boca Raton took home the boy’s 11-12 age division with a round of even par, 71. Naples native Graham Boone finished runner-up in the boy’s 11-12 age division after a round of 5-over, 76. Alejandro Arteta of Hollywood captured the boy’s 13-18 age division with a round of 4-over par, 75. Davis Dickinson of Palm Beach Gardens took home the runner-up spot in the boy’s 13-18 age division with a round of 83. Laney Ryan of Vero Beach captured the girls 9-10 age division shooting a 124. Morgan Pichler of Hobe Sound took home the girls 11-12 age division after a round of 80. Boca Raton native Madison Lowenstein finished runner-up in the girls 11-12 age division after a round of 84. Camilla Ariano of Miami took home the girls 13-18 age division with a round of 83. Parkland native Cynthia Liu finished runner-up in the girls 13-18 age division after a round of 84.